Home announcements Apple Development Features Mobiles Mobile Phone 40 Year Anniversary Cell-a-bration! Mobile Phone 40 Year Anniversary Cell-a-bration! Martin Cooper, now aged 85, is renowned as the "father" of the mobile phone. Being in charge of Motorola, he wanted to create "something that would represent an individual so you could assign a number not to a place, not to a desk, not to a home but to a person. That’s how the first mobile phone - Motorola DynaTAC 8000X was built, with the first phone call being implemented on April 3rd of 1983. The only feature of the device was to make a call. 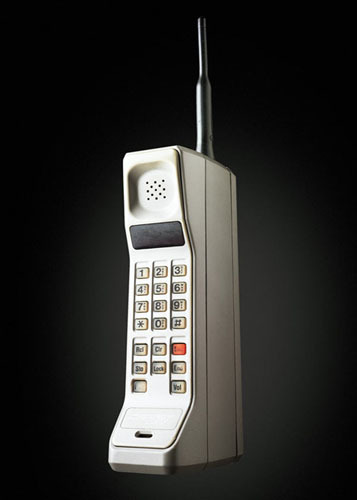 The early mobile phone users were mainly rich and strong – the Motorola DynaTAC 8000X cost $3,995 and was the size of a brick - weighted the whole 2 lbs! "Since its first use 40 years ago, the mobile phone has completely changed our lives. The first decade was a research or a 'demonstrator' phase, rapidly followed by analogue networks deployed over 10 years from the early 1980s largely based on carphones and used in business in the developed world. This soon led to the digital decade mainly between 1993 and 2003 when consumerisation and globalization of mobile really took off. "This led to a further data adoption phase with the arrival of 3G and during 2003 to 2013 access to the internet and the wider use of smartphones became a reality," - Mike Short, an expert from the Institution of Engineering and Technology, commented. With the original iPhone released in June 2007 with an auto-rotate sensor, a multi-touch sensor that allowed multiple inputs while ignoring minor touches, a touch interface that replaced the traditional QWERTY keyboards, and many other features that helped to give Apple an almost instant healthy market share on its release, it’s clear to see how far the technology has gone. 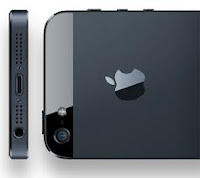 Considering the latest iPhone 5, which brings about 200+ new features to the initial iPhone, it’s quite hard to predict what we’ll have in the next 40 years' time because the pace of innovation is speeding up. Do not hesitate to share your first mobile experience stories in the comments below.